Ping! This is how this dish should make you feel. 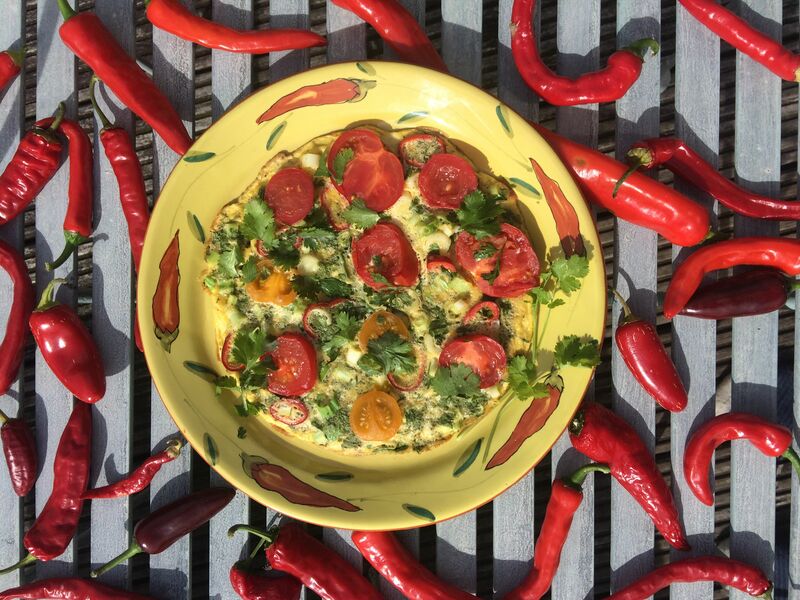 We combine eggs with all the good stuff – chilli, coriander, spring onion, and spices to make a really lovely omelette. This is a recipe for 1 so increase the quantity if you are making it for more people. 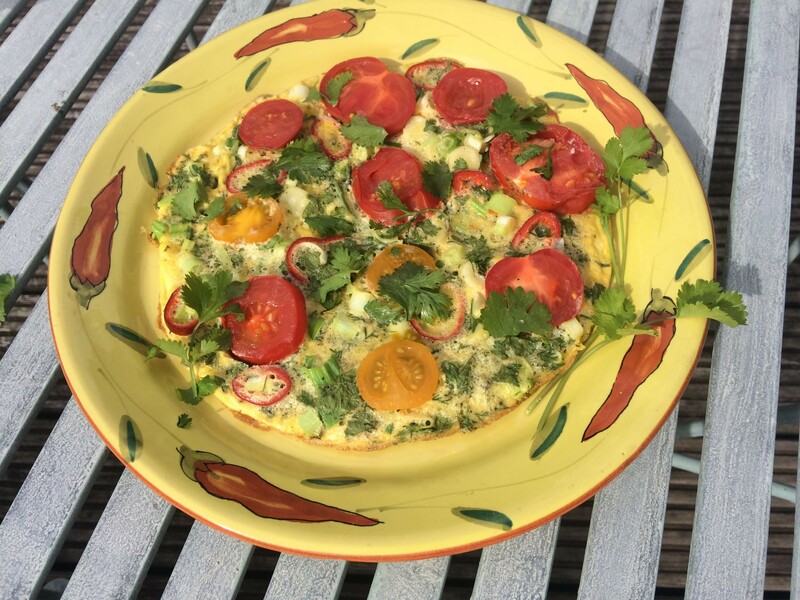 Perfect for a brunch or lunch or even dinner – this is a versatile, super speed recipe to adapt throughout the year but particularly good in September or October if you grew your own chillies this year! In a small bowl, mix together all the ingredients with a whisk. Use a small non stick frying pan on a medium heat. Add a drizzle of olive oil to the pan before pouring in the egg mix. Cook until browning on the bottom and then set under a grill for a further couple of minutes until the top is cooked.